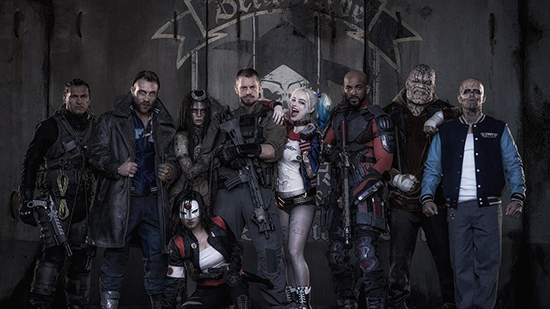 Director David Ayer Marks End of Principle Photography on 'SUICIDE SQUAD'! Suicide Squad completed principal photography on Friday & director David Ayer commemorated the fact by uploading a photo of the cast & crew via his twitter. Created by Robert Kanigher & Ross Andru back in 1959, the Suicide Squad has seen the inclusion of countless DC villains among its ranks, including Deadshot, Captain Boomerang, Bane, Killer Frost, Poison Ivy, Count Vertigo, Deathstroke & Harley Quinn. Warners big screen adaption stars Will Smith as Deadshot, Joel Kinnaman as Rick Flagg, Margot Robbie as Harley Quinn, Jai Courtney as Captain Boomerang, Cara Delevingne as Enchantress, Karen Fukuhara as Katana, Adewale Akinnuoye-Agbaje as Killer Croc, Jay Hernandez as El Diablo, Adam Beach as Slipknot, Viola Davis as Amanda Waller & Jared Leto as the Joker. Ike Barinholtz, Scott Eastwood, Raymond Olubowale, Alex Meraz, Jim Parrack, & Common also star. Suicide Squad hits theaters August 5th 2016. Hit the jump for the details. Synopsis: "A secret government agency recruits imprisoned supervillains to execute dangerous black ops missions in exchange for clemency." I'm reading: Director David Ayer Marks End of Principle Photography on 'SUICIDE SQUAD'!Tweet this!